The biggest D-I meet of the season was a showdown between Clarksburg, Sherwood, and Quince Orchard in the first week of dual meets. When Clarksburg won the girls tri meet and Sherwood unexpectedly won the boys tri meet, it was pretty much all over. 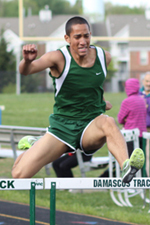 Northwest, Paint Branch, and Damascus all had a showdown in a tri meet towards the end of the season. Damascus boys and Northwest girls took home the crowns. The Northwest girls eventually won the county and 4A West team titles. 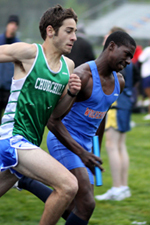 The Churchill girls did not have much challenge in D-III, but a tri meet between the boys teams of Gaithersburg, Churchill, and Watkins Mill was the closest dual meet of the season to decide a division. Watkins Mill got the double win by five points over Gaithersburg and four points over Churchill. Watkins Mill won the division title and eventually the county  and 3A West region titles. The Wootton girls won D-IV, but the Kennedy girls kept it close. 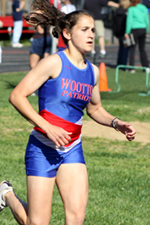 In the final dual meet between Wootton and Richard Montgomery, Jessie Rubin of Wootton ran a 10:51 3200. It was the fastest by a Moco girl in fourteen years. She later topped it by ten seconds at the state championship. 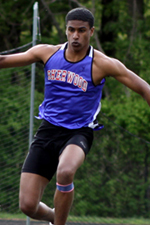 The Richard Montgomery boys, armed with newcomers in the sprints and field events, unexpectedly beat WJ handily early in the season. The RM boys eventually won the division title and the 4A West region crown.